The Coleman Crew's B-24J (AAF Serial #44-40598) departed Mokerang Field, Los Negros (Bismarck Archipelago) the morning of June 25, 1944 with the ten crew members listed below. This was a thirteen hour round trip to a heavily defended target without friendly fighter cover. After dropping bombs on the airfield of the Japanese held island, the plane was attacked by a Japanese fighter and crashed on the SE tip of Yap Island. 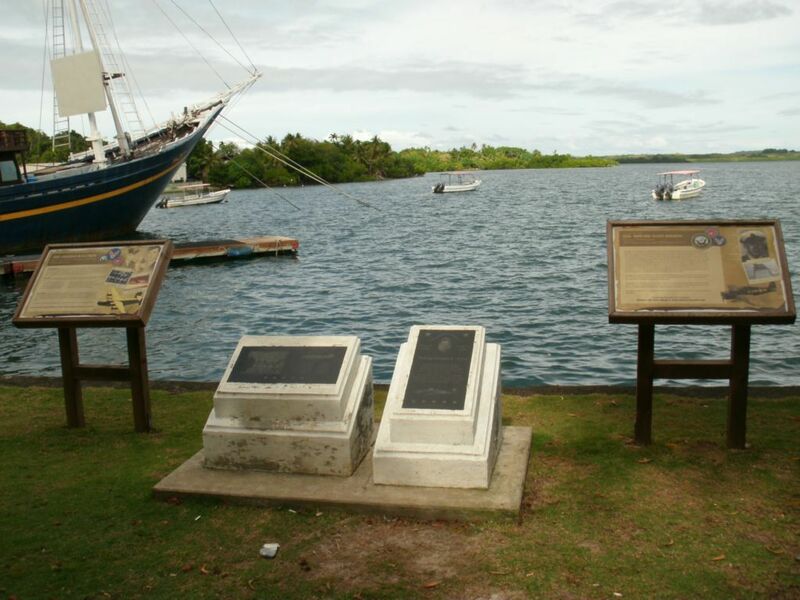 We know the men listed below were lost on 25 June 1944; however, it has been a challenge to figure out the original members of the Coleman crew (picture to the right) and what members joined and left the crew between February 1944 and June 1944. 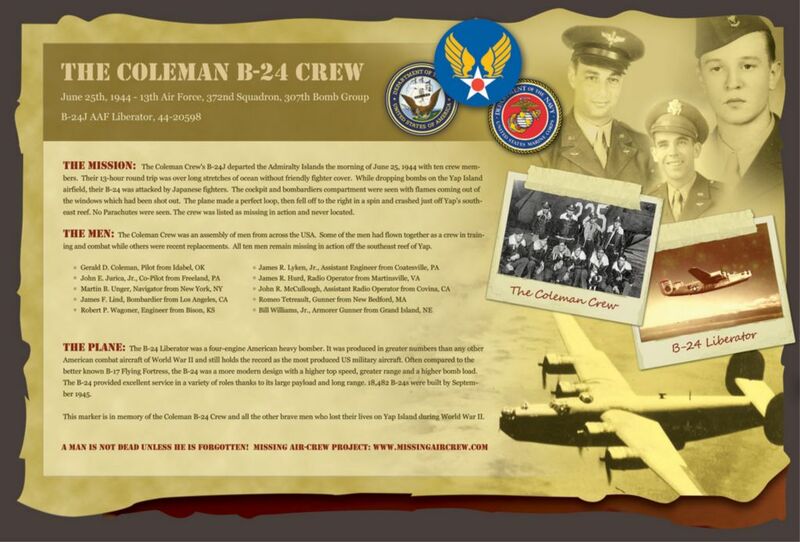 For example, my uncle, John R. McCullough, was not a member of the original crew and we have no idea as of today when he joined the Coleman crew. 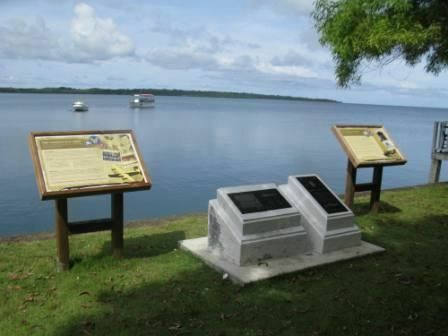 Please visit the following page for more information about the original crew members vs. the crew members lost on 25 June 1944. 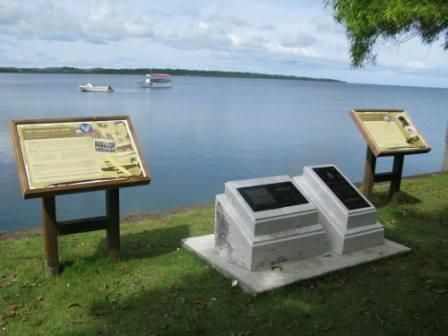 I'm pleased to announce a partnership between the Missing Air Crew Project and the Yap Visitors Bureau (YVB). 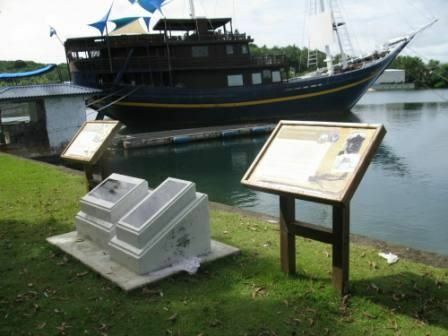 The two organizations have been working together over the few years to document the history of Yap during World War II. 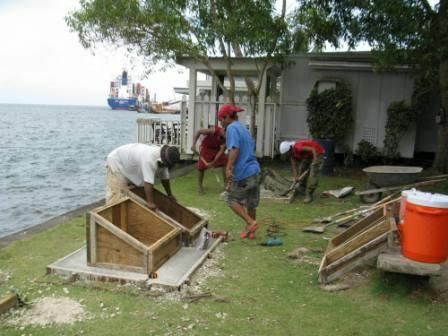 The project goals include creating resources to document and share the history, training the Yap tourism industry on the history, setting up a WWII tour process and to create memorials to remember the lifes lost during WWII. 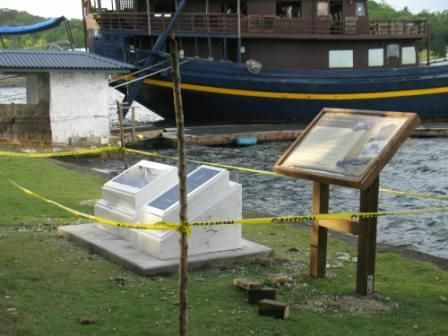 The following pictures are of the Coleman Crew memorial that now sits on the shore of the harbor in Colonia, Yap to honor the ten missing crew members including my uncle. Click on a thumbnail image below to view the full sized image.